Hearts on Fire started life in the early 90’s, making it a relatively new company when compared with its competitors. Nevertheless, with a snappy, emotive name and intelligent marketing campaigns, it has quickly risen in popularity with consumers and celebrities alike. Its registered trademark ‘The World’s Most Perfectly Cut Diamond’ instantly grasps the buyer’s attention, but can such a bold claim ever be truly substantiated? 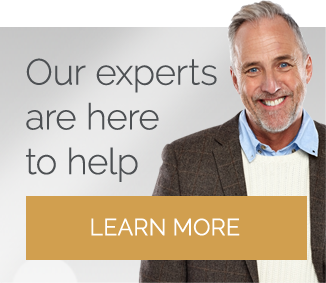 Founded by Glen Rothman and his wife Susan in 1996, the Boston-based diamond manufacturer now boasts over 550 retail stores across the globe. After seeing a round brilliant displaying the ideal Hearts and Arrows patterns during a trip to Belgium in 1978, Rothman decided to drive the focus of its diamond wholesale business towards optimized cuts. In later years, the company struck up some impressive partnerships, further cementing its position at the top of the diamond retail world. In 2006, Hearts of Fire provided the diamonds for the legendary Fantasy Bra at the Victoria Secrets runway show; valued at $6.5 million it remains one of the most expensive bras ever created. In 2014, Hearts on Fire was sold to Chow Tai Fook, one of the largest jewelry retailers in the world, for $150 million. As with all branded diamonds, the motivation behind the clever tag-line and specialized cuts is, of course, to make a profit. The advantage of a branded diamond is it offers a higher quality than your ‘average’ chain jewelry store who opt for substandard stones. The overall standard for branded diamonds will be much higher, so you are usually guaranteed a good quality gem. However, this does not take into consideration companies such a Blue Nile, whose unbranded diamonds will be of a similar quality, but at a much lower price. 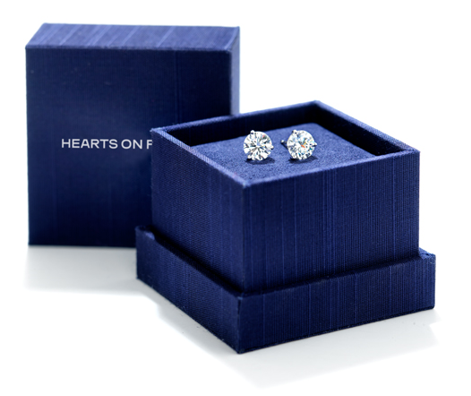 Hearts of Fire epitomizes the marketing techniques used by companies housing branded diamonds. We will look into this further with a close study of their diamonds later on. The Hearts on Fire website has adopted small features from its varying competitors. Like Tiffany & Co. and other high-end brands, there is a small push to visit one of its many stores. 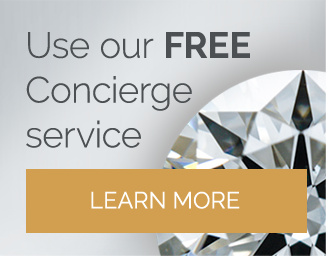 However, if you live in the U.S, jewelry can be purchased online and delivered to you free of charge. Should you opt to ‘design’ your own engagement ring (as tends to be the preference with online engagement ring purchases), the variations are fairly limited, and the website does not provide the same viewing or selection options as James Allen or Blue Nile. It takes you through the rudimentary steps of building your ring but is severely lacking in the necessary details regarding the diamond. It offers two options of diamond quality. These grades are not accompanied with any high-res images or diamond maps, so it really is difficult to know what you are buying. The choice of settings is also fairly limited. It would be impossible to compete with the likes of James Allen and its endless online inventories; however, Hearts on Fire should certainly look to expand this if it wishes to compete in the online retail market. 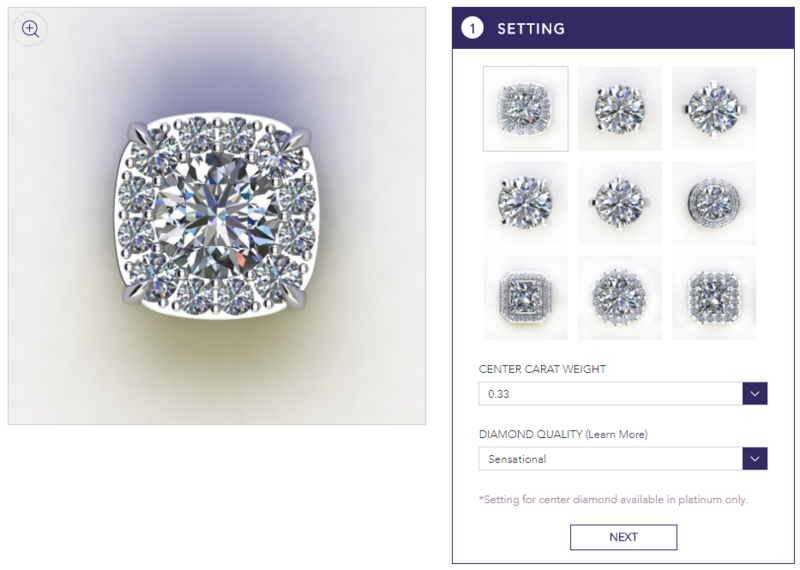 It offers a ‘live’ chat option, to help you through those tricky stages of choosing a ring. I found this to be helpful, although again it lacked the promptness and detail that is offered by some of the Hearts on Fire’s competitors. Overall the website is okay. It is basic, fairly easy to use, but certainly lacks any real information regarding the diamonds themselves and does not have the effortless feel of luxury that we have come to expect from top brands like Whiteflash as an example. A huge part of Hearts on Fire’s appeal is the promise of exclusivity and of course, “The World’s Most Perfectly Cut Diamond”. To appreciate my concern with purchasing a HOF diamond, we must first look at the two diamond types available. 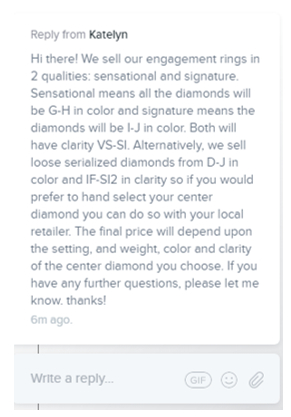 Sensational – If you opt for a ‘Sensational’ diamond, it will be within the G-H color range and VS1 to SI1 clarity. Signature – The ‘Signature’ diamond, is promised to be within the I-J color range and VS1 to SI1 clarity. It is one thing to pay a premium for a branded diamond; it is quite another to pay a premium for a diamond when you are not 100% sure what you are getting. This is where the concept of Hearts on Fire collapses on itself. There is no doubt that its diamonds are of a high quality. If you set one of its stones beside a diamond from a high-street, chain jewelers then there would be no contest. However, with so many diamond retailers offering GIA certified diamonds, it seems ludicrous to pay the prices that a Hearts on Fire diamond demands, without truly knowing the exact details. On its website, Hearts on Fire cleverly group color and clarity into brackets so they fit seamlessly with the two diamond qualities it offers. As any diamond expert or consumer who has done their research will know, there can be large disparities in price between two color grades. It may be argued that the difference between an E and an F in color may not be distinguishable to the eye; however, it does make a difference to the price. At the very least, you should know exactly what it is you are buying. I am in total agreeance with Hearts on Fire on the matter of cut; it is absolutely the most important of the four Cs. I often suggest when working to a budget, compromising on color and clarity will have far less of an impact than sacrificing the cut. I do, however, feel that a consumer should be able to make these decisions for themselves during the choosing process. Hearts on Fire seems to skim over the subject of color and clarity altogether. This method of splitting the grades is adopted by lower-end retailers, and it not what you would expect for the prices demanded by a Hearts on Fire diamond. Another problem with the wording and marketing strategy of Hearts on Fire is a huge portion of its appeal rests on the promise of something rare and exclusive. I find this to be misleading. Its Signature round brilliant cut is just a round brilliant cut. It is a very high quality and displays the Hearts and Arrows that are so sought after, but there is nothing revolutionary or unique about the cut itself. It has patented the ‘Dream Cut’ diamond, which features 70 facets as opposed to the usual 58 that feature in a round brilliant. There seems to be very little push toward a Dream Cut across its website. The focus remains on its Sensational diamond. The Super-Ideal, Hearts and Arrows cut that Hearts on Fire uses is incredible. There is no doubt that the diamond itself will be of a cut grade that will surpass a huge quantity of the GIA stones sold by other diamond retailers. However, do not purchase a Hearts on Fire diamond under the illusion that it is something entirely unique; it is not. 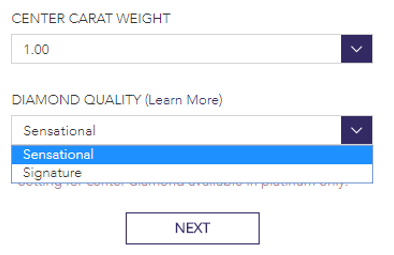 With the premium you pay on the diamonds themselves, you would expect something truly outstanding from Hearts on Fire when it comes to matters of packaging (and indeed website). I find myself conjuring images of rich leather boxes, gold gilded edges…something to compete with the likes of Cartier, if at all possible. Sadly, the boxes and branding of Hearts on Fire are closer to that of a chain jewelers. There is absolutely nothing wrong with it, but it does not ignite any excitement. For companies like Tiffany & Co., just a hint of color is enough; such as the power of its name and brand. I feel HOF need to work a little harder if it wants to compete with the powerhouses at the top of the diamond market. The diamonds offered by Hearts on Fire are fantastic. However, as countless side by side comparisons have shown, they are not worth the premium. A side by side study of Whiteflash and Hearts on Fire showed a round brilliant diamond of the same size and quality would be around $4,000 cheaper when purchased through Whiteflash. The diamond is from Whiteflash’s A CUT ABOVE® line, which easily competes with the cut of a Hearts on Fire diamond. This also comes with its heavily detailed certification so you know exactly what you’re paying for. 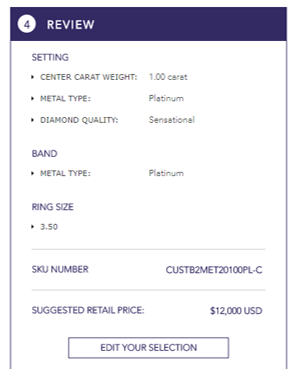 Hearts on Fire does not allow you to search for an individual stone, so it must be noted that its price includes a plain platinum band. Even so, you would not pay an additional $5,000 for a setting and band. 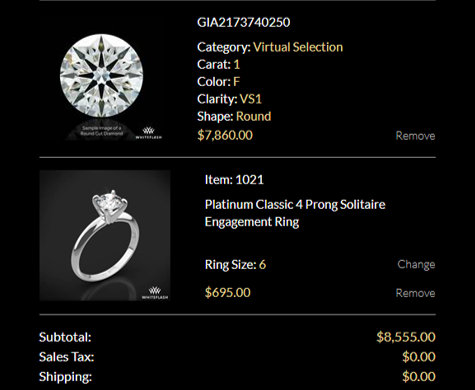 Adding a platinum setting to the selected Whiteflash diamond brings the total cost to $8,555. This is still $3,445 less than the Hearts on Fire offering. Furthermore, the Whiteflash diamond is fully certified meaning you know the exact color and clarity, as oppose to the bracket promise of a ‘Sensational’ quality that is offered by Hearts on Fire. Tiffany & Co. charges a premium and assesses its diamonds itself. They come with a Tiffany Certificate, but even so, it outlines exact color, clarity, and cut of the stone. This should really be a minimum requirement when looking at high-end jewelry. We may begrudge the premium it charges, but every year thousands of people buy a diamond from Tiffany’s so they can say “It’s a Tiffany diamond’. Until Hearts on Fire has reached that level of prestige, its prices should reflect those of more realistic competitors such as Whiteflash. When all the requirements of buying a diamond have been considered, it is extremely difficult to justify the cost of a Hearts on Fire diamond. If you fall in love with a particular ring in a Hearts on Fire store, then by all means purchase it, but do so with the knowledge that a stone of the exact quality or better could be found much cheaper from a competitor, such as James Allen or Blue Nile. If you're looking for the best quality cut and light performance then the A CUT ABOVE® diamonds from Whiteflash are you best bet. 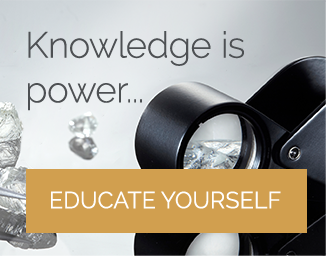 Cut through the marketing ploys, trademarked terms and promises and you are left with extremely expensive diamonds that fail to stand out from others available on the market.